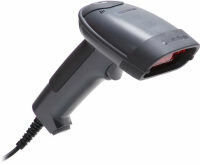 The Metrologic MS1690 Focus is a high performance handheld area imager. This omnidirectional scanner decodes virtually all of today's standard barcodes including 1D, RSS, PDF417, MicroPDF, EAN/UCC Composite, Matrix and Postal Codes. Questions about the Metrologic MS1690? We can help. For more information about the Metrologic MS1690, or any of our products and services, call us at 1.800.457.8499 or email us. Order your Metrologic MS1690 today. Order your Metrologic MS1690 now. Your purchase order, with credit approval, is welcome, as well as all major credit cards, PayPal and Google Checkout. Remember, you'll get FREE technical service with every product you buy from Vecmar.